Over 104 teams from multiple states will all converge on Pole Green Park's super flat and fast upper course for one last regular season race this weekend. Highlighting the competition will be Blacksburg's Girls Team who are favored to make it to NXN for a fifth year in a row. 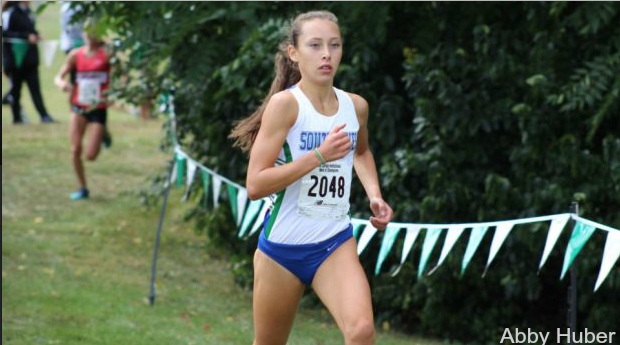 On the individual front VA's state leaders and Foot Locker finalists will make sure you get to see some fast times. Starting with the guys it should be a fast one. Ever since moving to the upper course things have just gotten faster each year and this year it will be Price Owens, Grant Northcutt, and Coleman Mitchell (NC) all attempting to continue the trend with a sub 15 minute performance. Thus it goes without saying that the race will have to be fast from the start. Price in the past has been content enough to sit and drop the field but the question is will they let him do that this time around? Grant Northcutt certainly wants a major victory on his resume heading into the post-season and all the out of state teams do too. That being said, will anyone be brave enough to push the pace solo? Team wise we think no one will be able to hang with Kentucky powerhouse, Trinity. They should make quick work of this course and competition for the team title. If they were to win, they would be the first non-VA team to reign supreme at this meet. On the girls' side you can guarantee we will not only have a sub 18 minute performance for the win but also a state leader. We know this because the current and previous state leaders in Kaitlynn Wolfe and Olivia Beckner are both entered and ready to run fast. They will have no choice after all since we predict a whopping nine girls will break 18 minutes in this race. This race is really a battle of track speed vs track speed in Wolfe and Beckner. Who will win is just something we will have to sit back and enjoy. Team wise Blacksburg's girls team will have little resistance because they are just too strong.